Just For Children 12-23 Months! Songs, games & movement activities for 12-23 month olds. 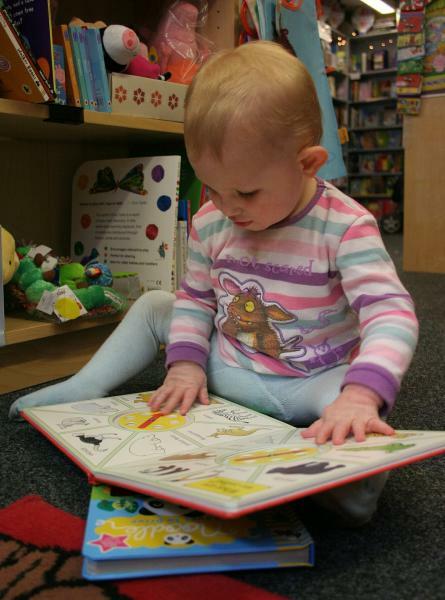 Are you looking for a library program for your wiggly, active toddler? Mother Goose Time is just for one year olds, with songs, games, and movement activities. Twelve to twenty three months is a critical time in your child's language, physical and emotional development, so come discover new ways to build skills and have fun together. Please choose to come either on Tuesday or Wednesday each week, and please come on time, because latecomers can't be admitted. No registration required.